Perspectives in Analysis Services let you show different parts of your tabular model to different people, but they don't have any security. To ensure that the right eyes see the right bits of your model, you'll need to create and manage security roles, as explained in this blog. This blog is part of our online SSAS Tabular tutorial; we also offer lots of other Analysis Services training resources. 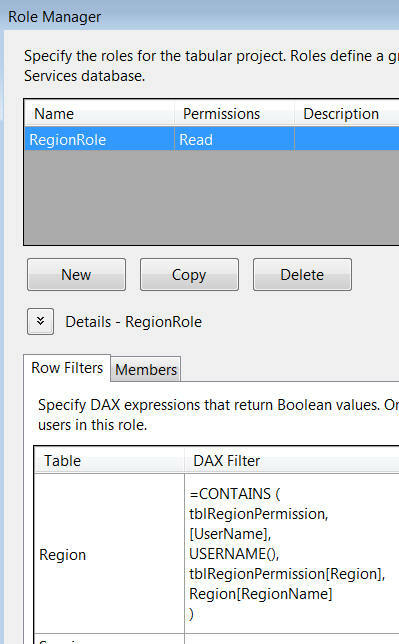 DAX exposes a function called USERNAME(), which - as the name would suggest - returns the name of the current Windows user. You can use this to customise what a user sees. Throughout this blog page, assume that my Windows user name is TREETOPS\Wally.Owl. 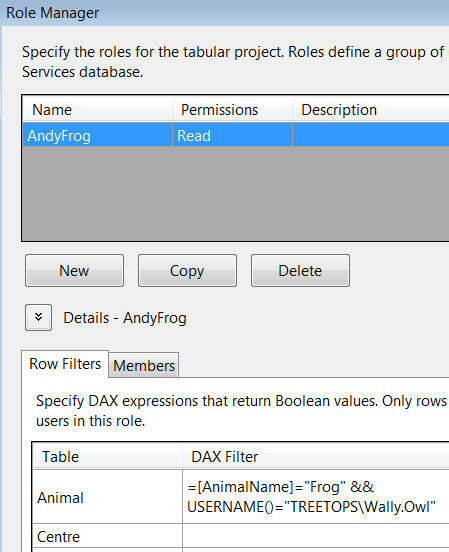 Client tools using this role will only see data for frog products, viewed by people who are logged on as me. Because I'm logged on as me, I get to see frog data; no one else would even see this. 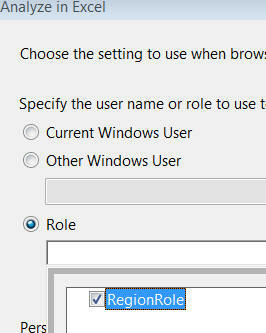 Don't forget you'll need to change the user name to your own logon name! Import the table in the usual way. The role will show data for a transaction, for example, if it can find a row in the region permission table which matches both the currently logged on user and the region for the transaction. Show a pivot table using this role. The result makes it all worth it! 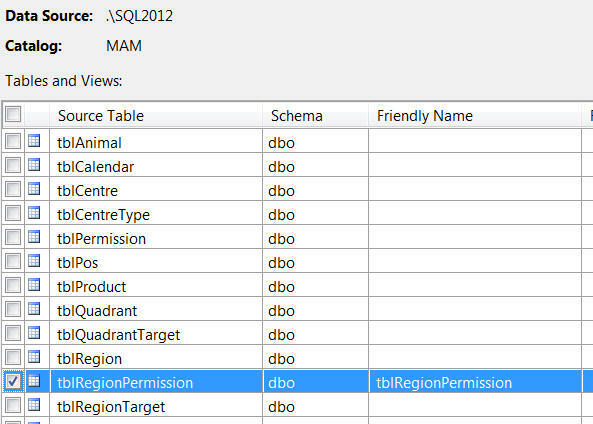 The only data I can see is for the two regions assigned to me in the region permissions table.